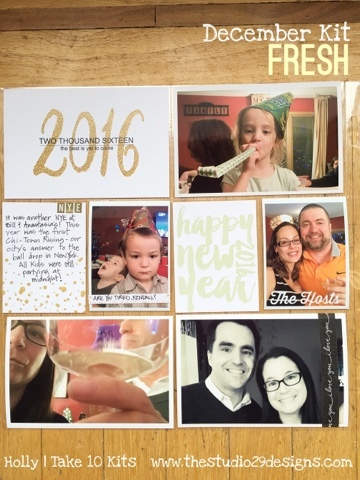 I'm starting the year off with good intentions of getting that 2016 Project Life album started! 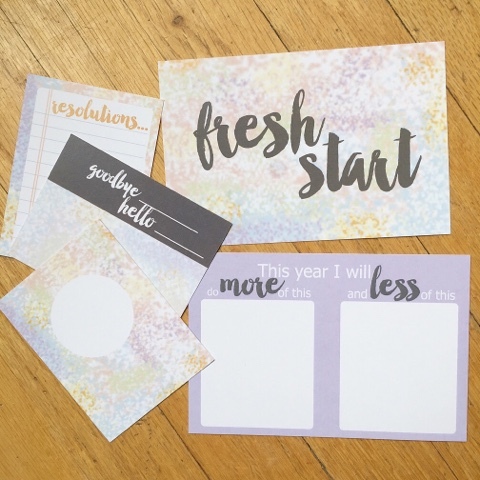 The December Kit is perfect for New Year's, a 2016 title page, AND getting your goals recorded! I'm starting this album off like a minimalist. I dig it. I always love seeing it in others' albums. It really lets those cards and photos shine. 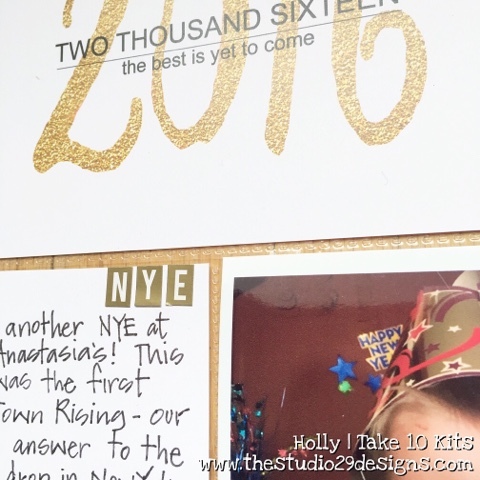 Just added those gold alphas by Studio Calico to one card. 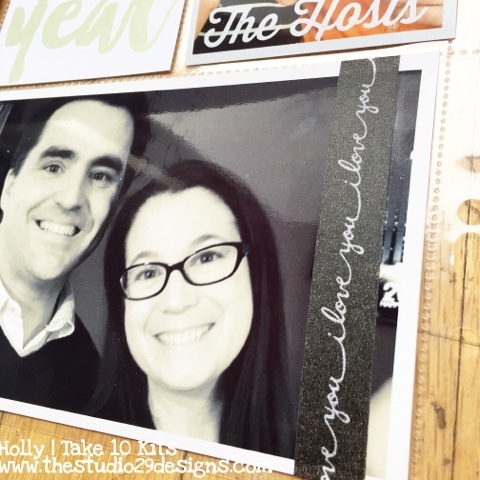 And added that American Crafts "i I love you" washi to a photo of my husband and I.
I am thinking of using these cards in my One Little Word album. Do you have a word for this year? This is my first time doing this project that Ali Edwards leads. It is fascinating to me. I think my word chose me because it is the only one that has been on my mind. "Enjoy"
So my love for scrapbooking and passion I have for all similar art...not only allows me to experience the beauty from other individuals and their work...but the chance to once again heal and explore and enjoy a life with no pain... Even if it's just for a little while.